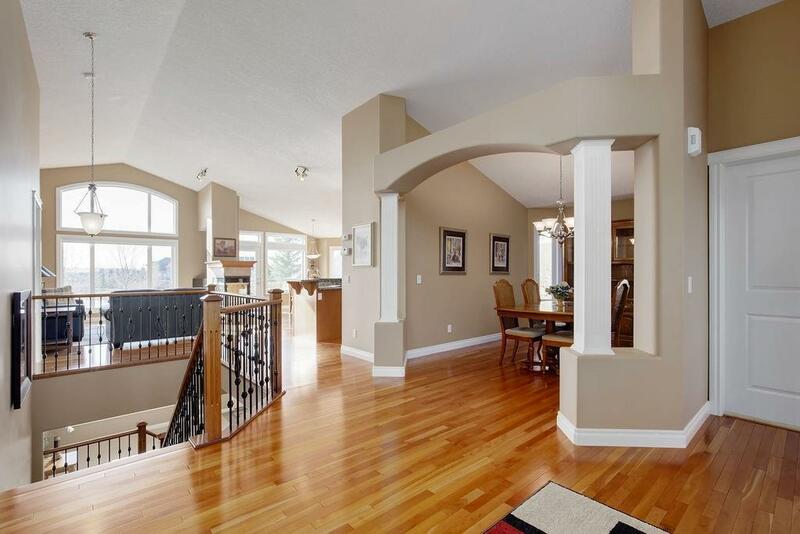 Gorgeous walkout bungalow lakeside at Heritage Pointe with triple car garage. Summer & winter activities at the lake house with a strong sense of community. Close to 2900 sqft. w/ bright open concept. 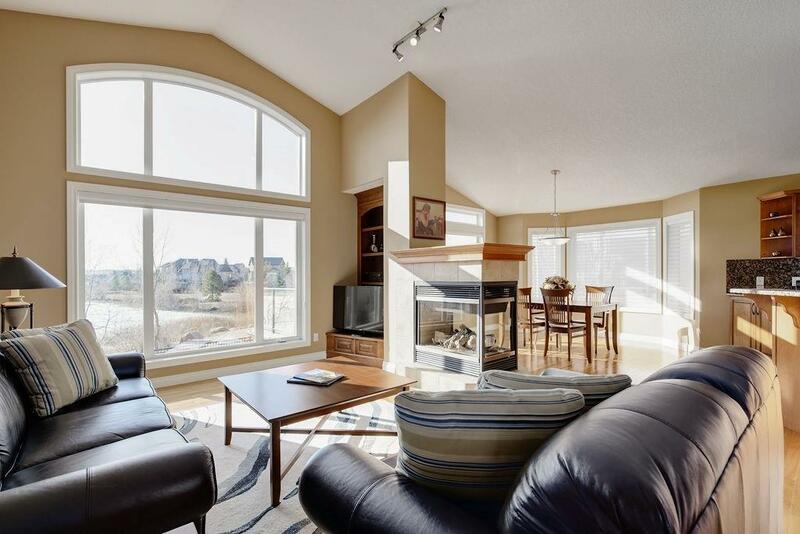 Large windows & vaulted ceilings... amazing lake views. Two sided fire place in living & large dining room. Kitchen has maple cabinets, butler pantry, granite counter-tops, high-end appliances incl built-in oven & Ceran counter stove top. Brazilian cherry hardwood flooring on main floor. Master bedroom - large ensuite, huge walk-in closet. 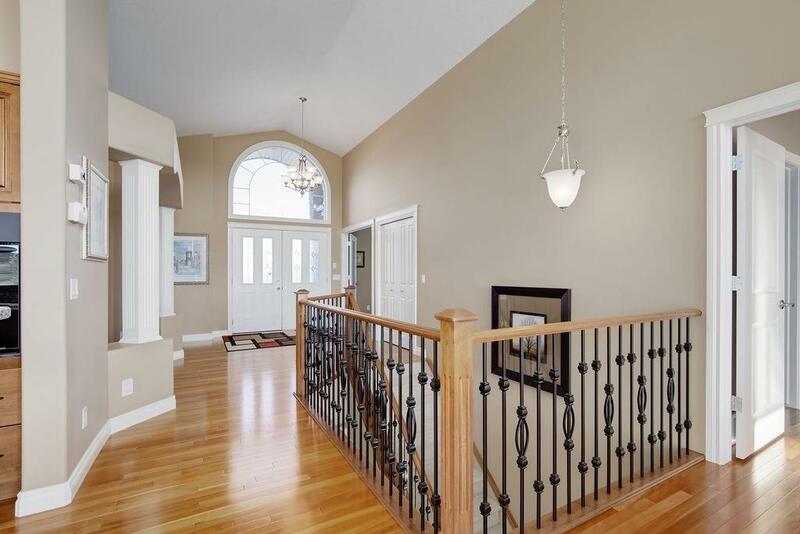 Basement w/ bar (bar fridge), in-floor heating, over-sized bedroom, full bath adj to family & recreation room. Room to develop 2 bedrooms in basement. Workbench & shelving in triple heated garage. 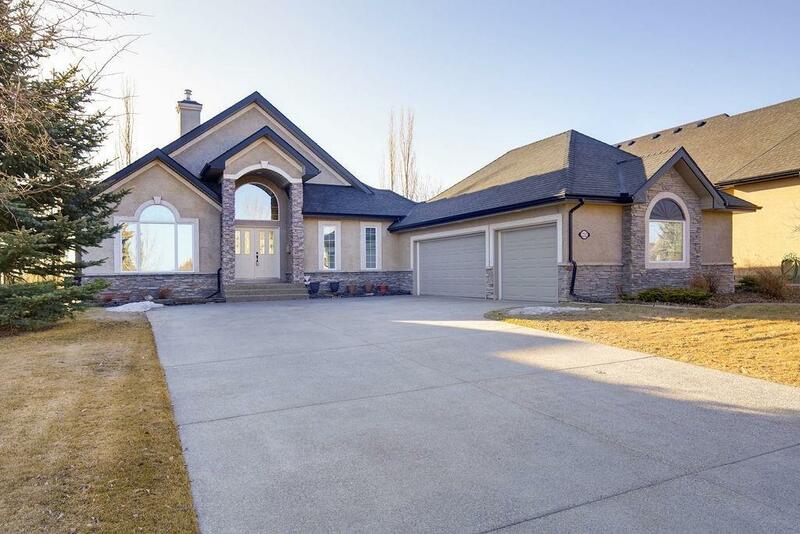 Home features incl boiler system w/ slab heat iPex plumbing, water softener, RO system, rough in for sink in mechanical room, central-air & built-in vacuum. On path & pond w/ fountain, gas line on deck for Bbq, irrigation system & sunny S yard.